Women in Consumer Technology’s exclusive sixth annual Forum, “EmPOWERed!” is scheduled for Tuesday, June 19. 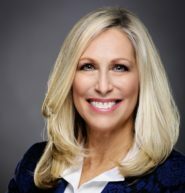 Karyn Schoenbart, CEO, The NPD Group and Best Selling Author, MOM B.A. Whether you’re just starting out in your career or you’re a seasoned professional looking to move up, don’t miss the chance to hear directly from Karyn Schoenbart, CEO of The NPD Group, a global provider of information and advisory services to many of the world’s leading brands. Passionate about coaching others to greater levels of achievement, Schoenbart is also the author of Mom.B.A. Essential Business Advice from One Generation to the Next a practical guide on everything from effective first impressions and workplace politics to relationship development, skill-building and priority setting. The book is based on the real-life business lessons Schoenbart amassed during her career. Don’t miss the chance to ask her your most pressing questions and enjoy a complimentary signed copy of her book. 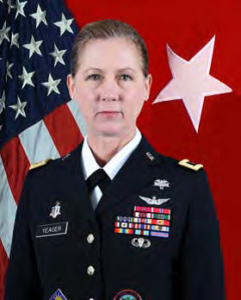 Brigadier General Laura L. Yeager has lived the life of empowerment of women in the military and will share experiences from her youth through her over thirty-two years in uniform. She will also discuss how the female role in military service has evolved, tips on work/life balance and executive leadership techniques applicable to civilian career goals. Feeling overwhelmed? Does your email chime make your heart sink with the thought of one more obligation? Does your mind race through to-do lists each night as your head hits the pillow? Do you feel less patient, less joyful, and less available to those who rely on you? You can’t fill from an empty cup. In this 30-minute workshop you’ll learn some hands-on techniques that will make you feel better equipped to handle whatever comes your way. By investing in as little as ten minutes a day, you can find yourself feeling more refreshed, more available, more productive, and most important – more content. Do you Google your name? Your reputation’s influence is becoming more powerful than ever before. Thanks to social channels and digital media, anyone can access troves of information about your buying habits, what you like on Facebook, where you go for vacation, what type of cuisine you like; it’s all being captured and analyzed by data aggregators, potential employers and marketers. This data affects everything from insurance premiums to potential employers. Having a “private” Instagram account is not enough to safeguard your reputation. 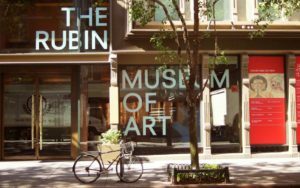 This workshop will show you how to review your digital footprint and best practices to control, curate, and optimize your reputation. What is leadership really? Where did you learn how to lead? Who says that’s the way? Why do you mirror the old guard? Who do you look up to? WHY to all of those things? Yao Huang, Founder and Managing Partner of The Hatchery, an organization instrumental in developing the New York technology ecosystem. Hatchery’s incubator works with corporations to collaboratively develop new innovations and companies for competitive advantage and revenue streams leveraging machine learning, artificial intelligence, prediction, natural language processing. Members, log in and then click the member button. 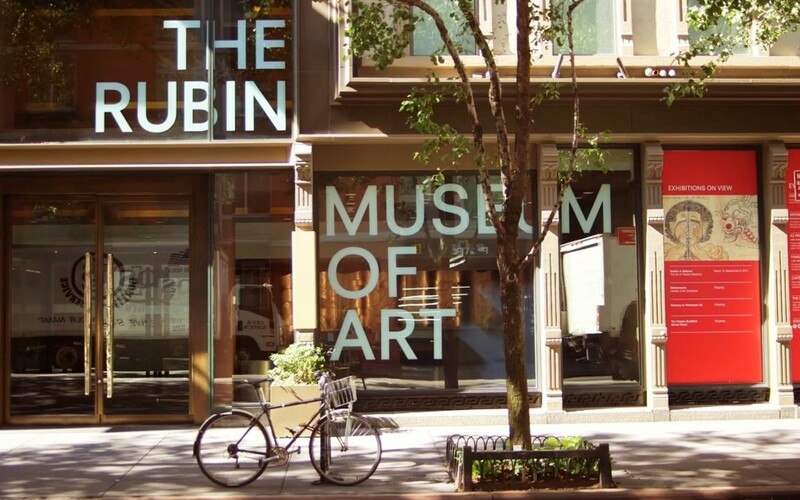 Non-Members, join today and pay the Member price, or buy Non-Member tickets here. Join Women In CT now to receive a discounted ticket! Karyn Schoenbart is Chief Executive Officer of The NPD Group, a global provider of information and advisory services. NPD combines unique data assets and solutions with industry expertise, working with the world’s leading brands to support better business decisions. Under Karyn’s leadership, NPD is proud to have been named one of the Best Companies to Work for in New York State. Passionate about coaching others to greater levels of achievement, Karyn is also the best-selling author of Mom.B.A. Essential Business Advice from One Generation to the Next, a practical guide on everything from effective first impressions and workplace politics to relationship development, skill-building, and priority-setting. The book is based on the real-life business lessons Karyn amassed during her career. 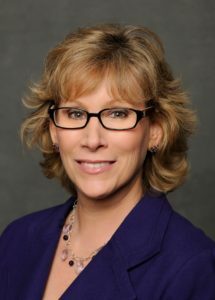 Betsy Jaffe is a public affairs executive with more than 25 years of experience serving corporations and trade associations. 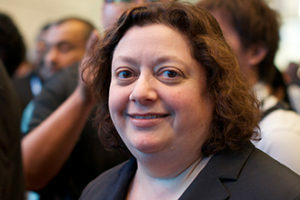 She started Amplitude Strategies, a strategic communications firm serving the audiovisual industry, earlier this year. 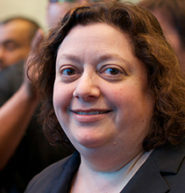 Prior to founding Amplitude, Betsy served as a senior vice president at AVIXA – the Audiovisual Integrated Experience Association (formerly InfoComm International), where she worked in several different senior level positions in communications, government affairs, conferences, sales, social media and membership for more than a dozen years. 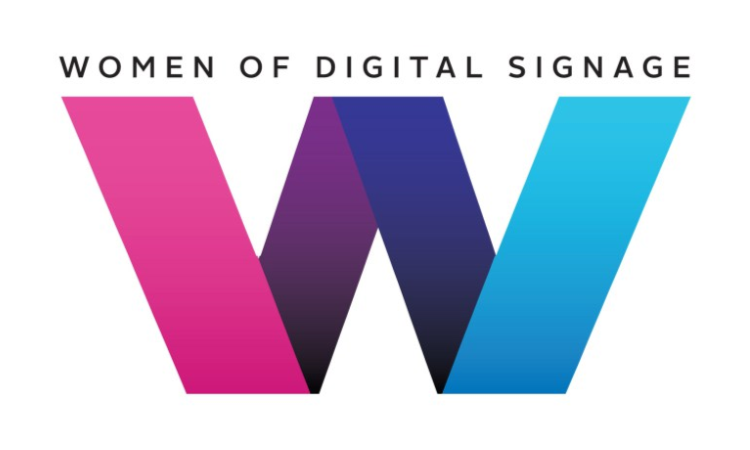 She was executive director of the AVIXA Foundation, leading the association’s workforce development efforts, as well as the co-founder of Women of InfoComm Network (WIN). 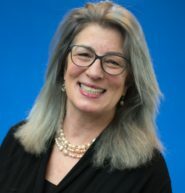 Her work has been featured in publications including The Wall Street Journal, The Washington Post, The New York Times, USA Today, and hundreds of business journals and trade publications around the world. Betsy has practiced mindfulness for close to ten years and is a student in UC Berkeley’s Greater Good Science Center’s Mindfulness Meditation Teacher Certification program. Brigadier General Laura L. Yeager assumed command of Joint Task Force North on September 29, 2017. 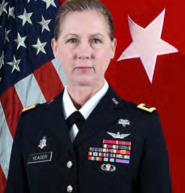 BG Yeager’s active military service began in May of 1986 after receiving her commission as a Distinguished Military Graduate through the Reserve Officer Training Corps program at the California State University, Long Beach. She commanded on Active Duty and in the National Guard as a company commander, Aviation Battalion and Aviation Brigade Commander. During subsequent assignments she served as a helicopter pilot in both the UH-1 Iroquois and UH-60 Blackhawk aircraft, accruing over 1500 flight hours and qualification as an Instructor Pilot in the UH-1. From 2010 to 2011, BG Yeager served as the Deputy Commanding Officer for the 40th Combat Aviation Brigade during its deployment to Iraq in support of Operation NEW DAWN. BG Yeager’s civilian education includes a Baccalaureate Degree in Psychology from the University of California at Irvine, a Master’s Degree in Counseling Psychology from Chapman University College and a Master’s Degree in Strategic Studies from the Army War College. Her military awards and qualifications include the Legion of Merit with two oak leaf clusters, the Bronze Star, Army Parachutist Badge and the Expert Field Medical Badge. She and her husband of thirty years, Curtis, have four grown sons. Brigadier General Yeager believes strongly in the “Empowerment of Women” and will share experiences from her youth through her over thirty-two years in uniform. She will also discuss how the female role in military service has evolved, tips on work/life balance and executive leadership techniques applicable to civilian career goals. 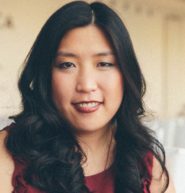 Angela is the founder of Repuvue, a marketing firm specializing in reputation management and customer reviews. Prior to founding Repuvue in 2016, Angela held leadership positions in the consumer electronics publishing space first as the Associate publisher of Sound+Vision and then as Publisher of Home Theater. 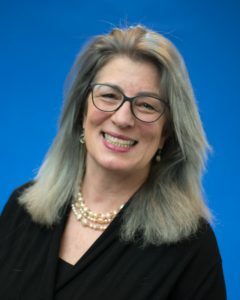 Her expertise in consumer technology and reputation management give her a unique perspective in media, marketing, public relations and brand positioning. Yao is the Founder and Managing Partner of The Hatchery, an organization instrumental in developing the New York technology ecosystem. Hatchery’s incubator works with corporations to collaboratively develop new innovations and companies for competitive advantage and revenue streams leveraging machine learning, artificial intelligence, prediction, natural language processing. She has helped over 350 early stage companies through various phases of maturity with a focus on product, business, revenue, and funding. She leads up the enterprise incubator in New York building products with corporate partners -- from ideation, development, sales, funding to exit. She is advisor and deal maker to the governments of 10 countries throughout North America, Europe, and Asia to assist foreign technology companies in their expansion to the U.S. market. Previously, Yao co-founded an award winning digital agency, Gigapixel Creative, building technology solutions and digital strategies for corporations, startups, and advertising agencies. Clients and campaigns included Cline Davis Mann, BBDO, Y&R, Nextel, Cigna, Chase, Starwood Hotels, Universal and more. She helped launch several startups and lead the agency to 30 accolades including Top 10 Hot Creative Agencies to Watch and Forbes Best of Web. Yao was named by Forbes as one of 11 women at the center of New York’s digital scene, by Beta Beat as one of 25 Women Driving New York’s Tech Scene, and TechWeek’s 100 most influential people in tech. She is part of the U.S. State Department Global Entrepreneurship Program Delegations in bringing entrepreneurship and initiatives to strategic countries. Yao is a sought after speaker in areas of building internet companies, technology, big data, social media, and entrepreneurship. 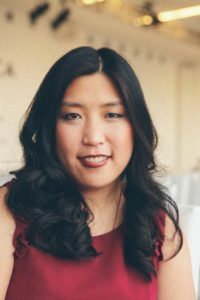 Yao and her efforts have been featured in Fortune, Inc Magazine, The Miami Herald, Reuters, Daily News, Red Herring, Crains, American Venture, and TED. She has a particular passion for helping entrepreneurs, women, and social causes with projects in place to build global communities, push more women into executive positions.